Who doesn’t love adorable toddler art? 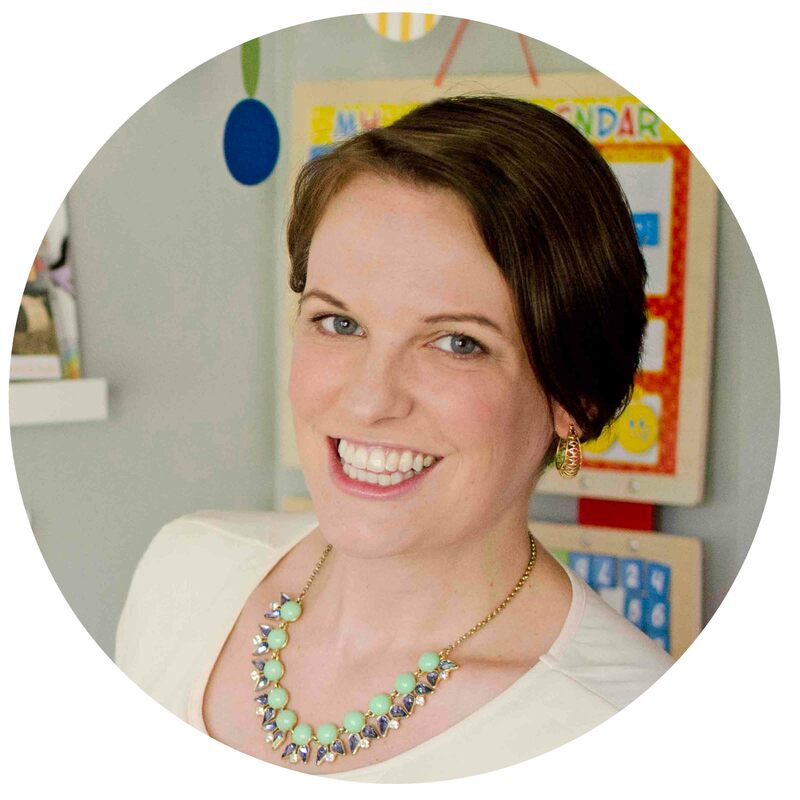 It’s the Mary Poppins of art: practically perfect in every way. No matter how busy things get or how many cups of coffee I have to reheat to get there, I try to do a monthly art activity with my kids. Nothing fancy, just something fun, simple, and totally fridge worthy and saveable. 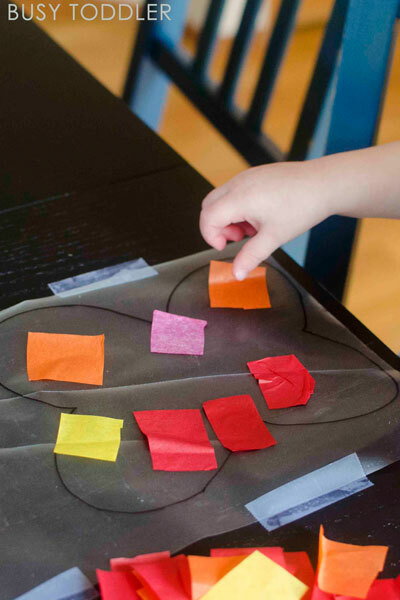 This easy butterfly craft absolutely fits the springtime bill. 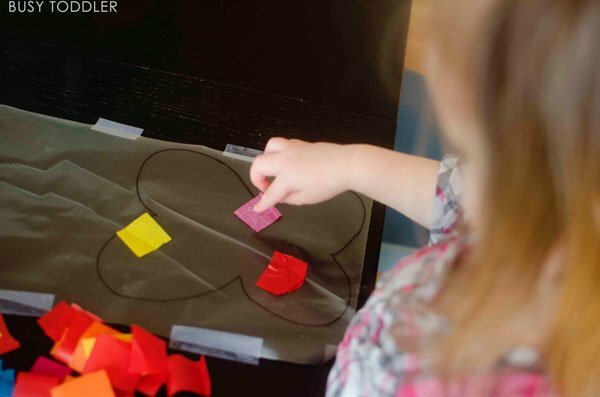 The beauty of this simple art activity is that it can work for kids of all ages. 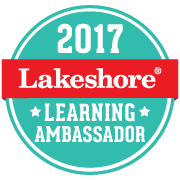 I did this with my 27 month old, my 3.5 year old, and once upon a different life, I used to do this activity with my first grade students. 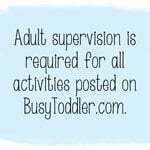 This activity is so stretchable – it can meet just about every age need. Ok, there is a little catch to this “fast” set up. You need a bunch of squares of tissue paper. This doesn’t take long to prep. But it does take like 5 minutes which violates so many of my “no prep” rules. But we forgive and forget. Also, as a tip, cut up a bunch of these squares and save them for later. Trust me. You’ll find a use for them in the future. If you haven’t jumped on the con-tact paper for kid’s activities bandwagon, then let today be that day. Con-tact paper is awesome. 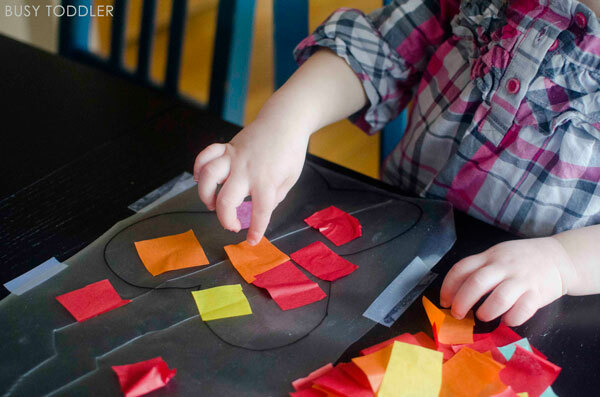 You can use it to make a number learning activity, a sticky wall activity, or shapes activity. 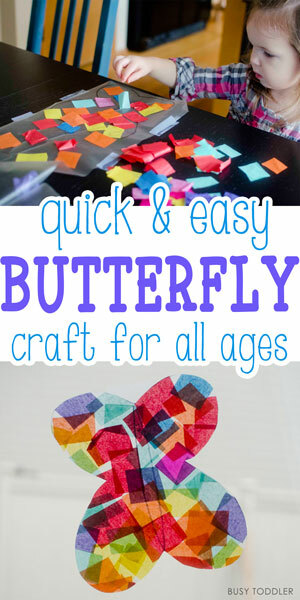 Or an easy butterfly craft activity (wink). Cut off a long rectangle of con-tact paper. On the bottom half, draw the outline of a butterfly. Carefully peel off the backing and lay the con-tact paper sticky side up on a table. Your butterfly will visible on the back. You’ll want to tape the con-tact paper to the table. 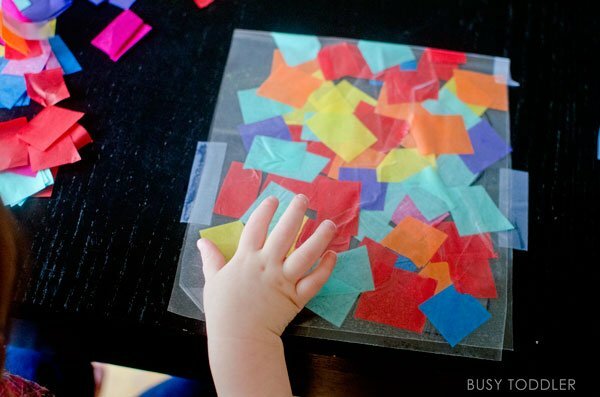 Whenever I do this activity – no matter what age – I stress one tip: lay the tissue paper flat onto the con-tact paper. You don’t want to ball the paper up. Just lay it flat on the butterfly right where you want it to go. For the older kids – like when I did this with school aged kids – I always used this as part of a lesson on symmetry. It’s a great chance to have them make their own symmetrical design. 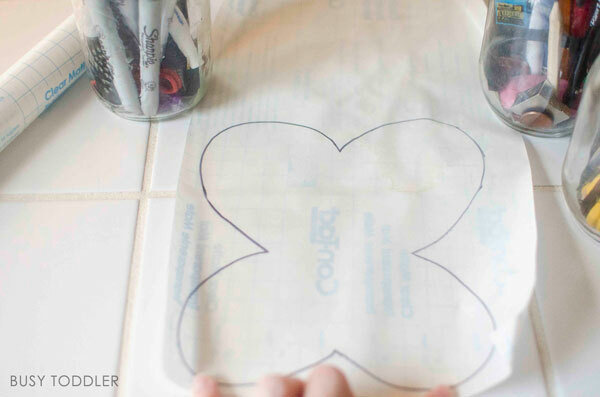 Once your artist has finished laying tissue paper on their butterfly outline, it’s time to seal it up and turn it into a beautiful sun catcher. Take the top half – the half that doesn’t have the butterfly outline – and fold on top of the butterfly. Press down to seal it up. 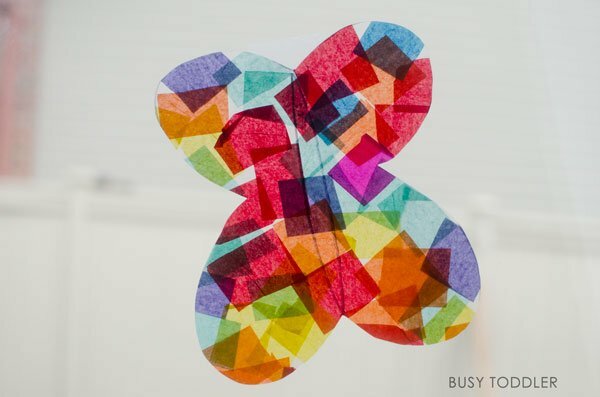 Cut out the butterfly and VIOLA – a perfect little butterfly sun catcher! 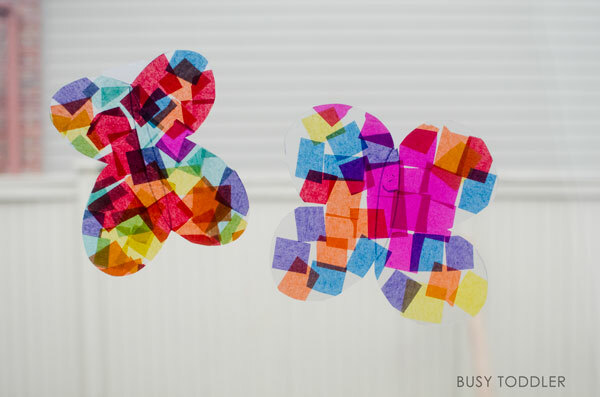 Tape it onto a window and watch the colors come to life. 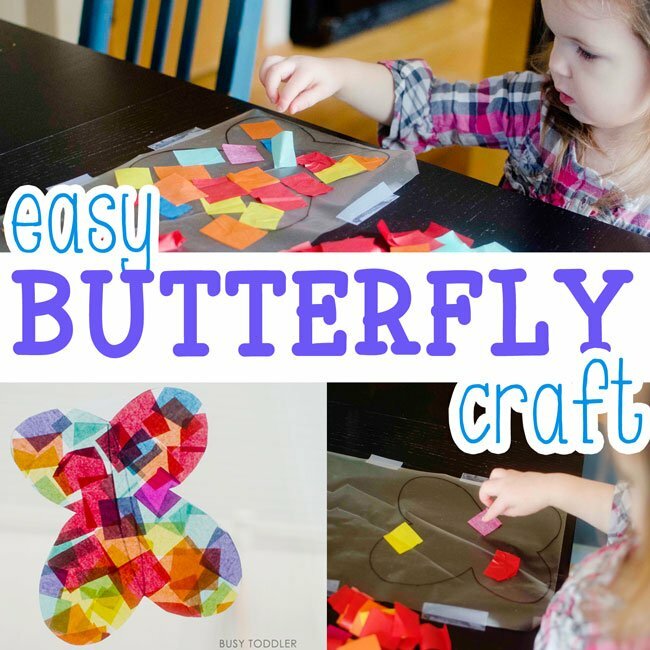 This butterfly craft is so easy! 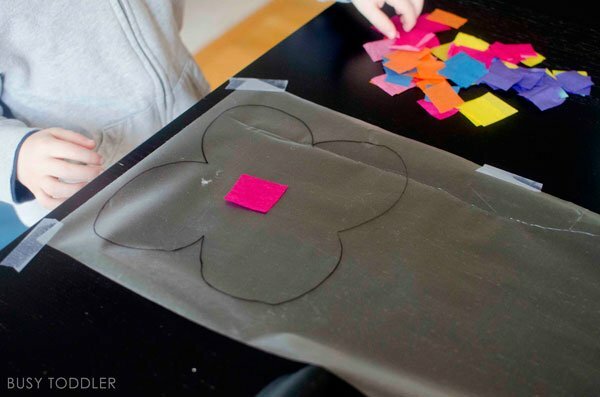 This butterfly craft just couldn’t be simpler! It’s a great change of pace art project and one that kids of all ages love. 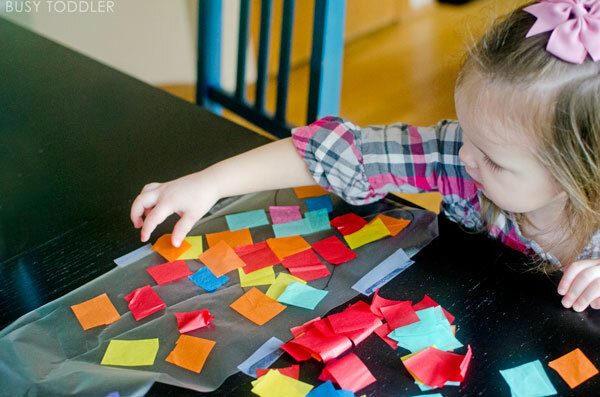 Plus, it’s the perfect save-able, fridge worthy (well window worthy) art activity. 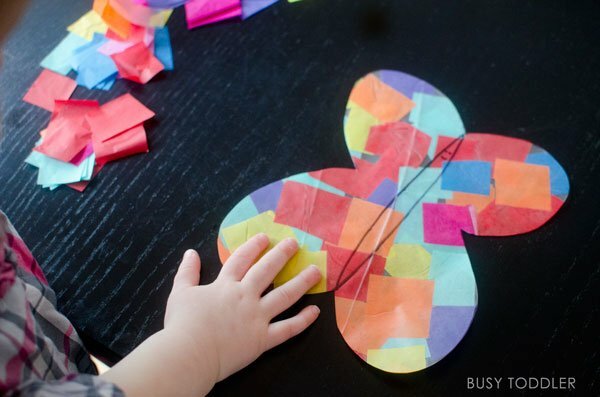 Will you try this butterfly craft?